Norddalsfjord, one of the sleeves of the Storfjord, has a length of 16 kilometers. At the widest point, the distance between the banks is not more than 3 km. 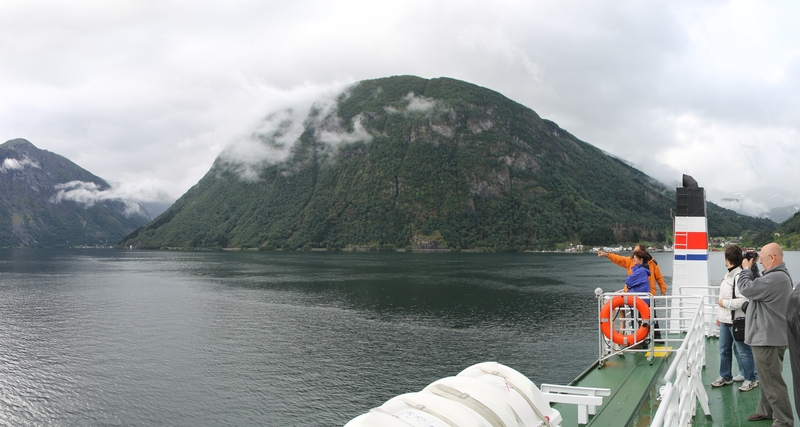 The banks of the fjord are surrounded by peaks up to one and a half thousand meters high. Places are not too comfortable to live in, there are few sloping plots, so there are only 3 villages with a total population of slightly more than 1,600 people. Until the 1960s, they were only accessible by water,now even the smallest settlements have good roads. 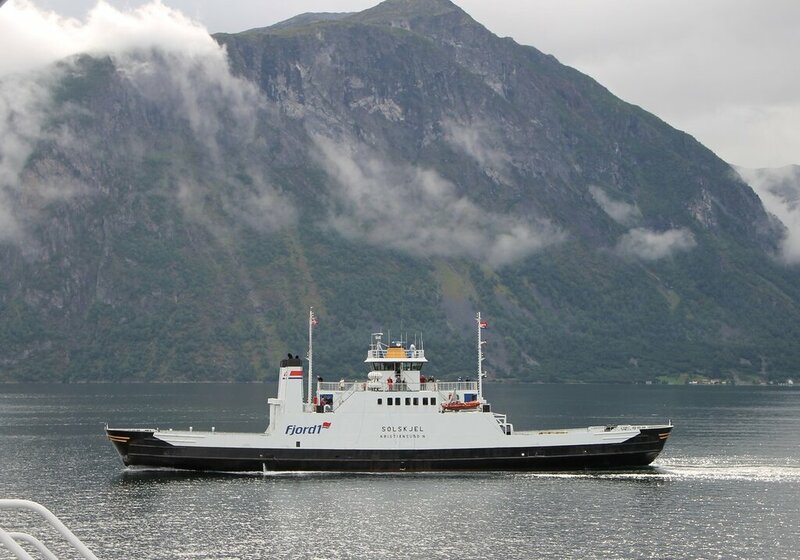 Currently, there is only one ferry line with two small ferries. At the stern of our ferry left the jetty Linge. 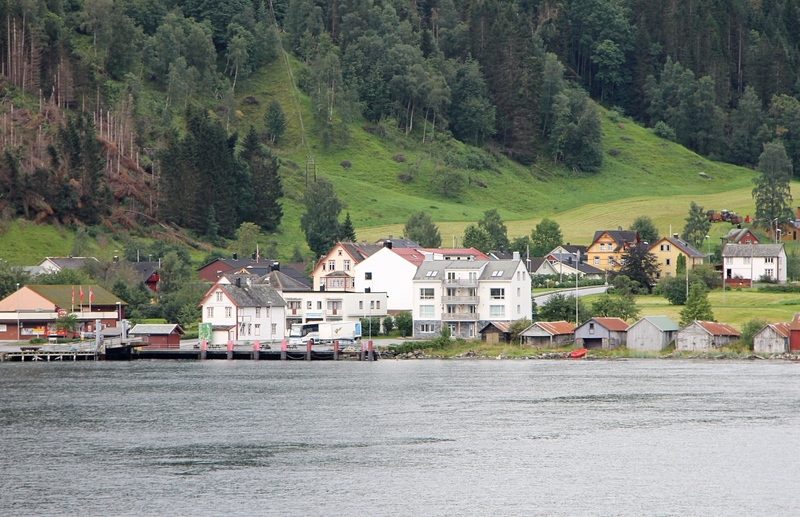 On the right you can see Valldal, the largest settlement on the fjord. This is no ordinary village, but a modern tourist center, where the Verdalsoren route begins. Ahead of the village Eidsdal - the center of a very small area (commune), numbering only 400 inhabitants. Here starts the tourist route leading through the Eidsdallen valley to the famous "Eagle Road".